Once you are fully set up with Payments by Wave you have two options for pausing this feature. You can toggle Payments On/Off on individual invoices directly from your Invoice Tab. When creating or editing any invoice you will see a button along the top that says ‘Payments OFF’ or ‘Payments ON’ - simply click this button to toggle at your leisure. 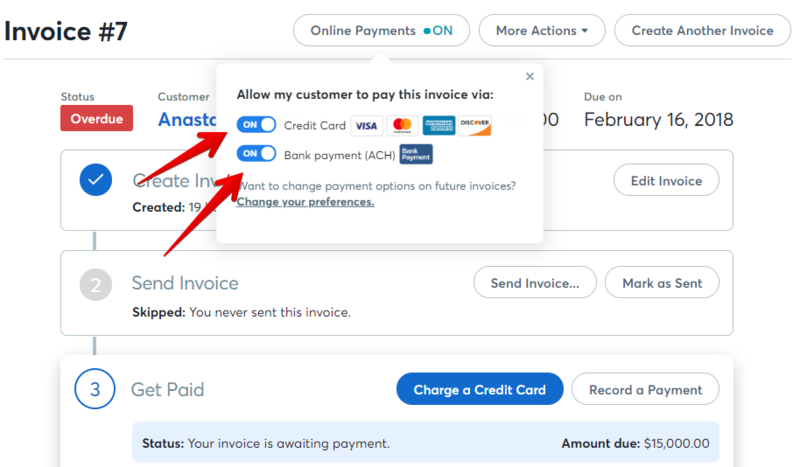 If you would prefer to pause Payments by Wave on all invoices, you can do this by clicking the Settings tab > Turn On/Off under Credit Card Payments and here you will be able to toggle Payments On/Off for the entire account. If you do this then you will need to turn Payments back on for the entire account before you will be able to accept credit card payments again through your invoices.